Every academic year graduate students in the Computer Science and Electrical Engineering (CSEE) department at UMBC, who are also members of ACM, are elected to the posts of Chair, Vice–Chair, Secretary and Treasurer. These officers plan, organize and manage the student chapter events. Since the beginning of academic year 2018–2019, the student officers are assisted by students who volunteer to be part of various committees focused on specific events that repeat throughout the year. The student officers also work under the guidance of faculty advisers from the CSEE department. Following students were elected to various posts in the academic year 2018 — 2019. As a Ph.D. student at CMPE department of UMBC, Avani focuses her research on increasing platform security in small form-factored embedded industrial control systems(IOT). Before joining the Ph.D. program at UMBC, Avani received her Master’s in Electrical and Computer Engineering from California State University Northridge. She is an experienced software and systems design engineer, a networking and software programming enthusiast, who intends to bring a culture of conducting student-led collaborating activities, coding challenges, and workshops which will benefit the students of UMBC. Arya Renjan is currently pursuing M.S. in Computer Engineering at UMBC. She is doing research with Dr. Karuna Joshi in the field of Relation Extraction from text documents using deep learning. Prior to UMBC, she worked with ANSYS Inc. as an Applications Engineer, in the field of Semiconductor simulation software at Bangalore, India. 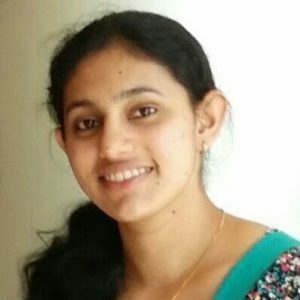 As the Vice-Chair of ACM Student chapter at UMBC, Arya aims to create an arena where the Grad and Undergrad students from CSEE department come together, discuss their research interests and develop ideas on a bi-weekly basis. She, along with other ACM committee members is eagerly looking forward to conducting various ACM activities for this academic year like Tech-talks, workshops, coding challenges etc. 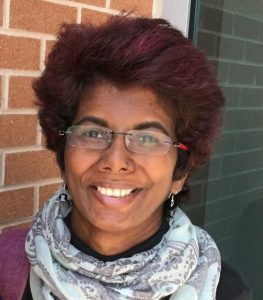 Sai Sree Laya Chukkapalli is serving as a Secretary for UMBC ACM Student Chapter. She is a master’s student in Computer Science at UMBC and a Research Assistant in Center for Accelerated Real Time Analytics Lab working under Dr. Milton Halem on a NASA grant. Her research interests incline to Machine Learning and Data Science. She loves to learn new skills and has excellent decision-making abilities when faced with critical situations. Being Secretary for ACM Student Chapter, she would work with committee to plan and organize events at a broader scale. Prajwal Gadad is serving as a Treasurer of UMBC ACM Student Chapter and he is a Masters Student in Computer Science Dept. at UMBC. He has completed his Bachelors in Computer Science from MIT, India. 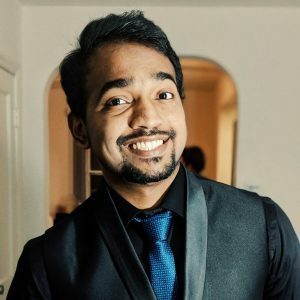 He is a Machine Learning enthusiast and a Python language lover who is keen in expanding his knowledge in the areas of Data Science and Computer Vision. He his working on his individual project where he intends to develop a tool for hearing impaired and mute community to communicate with others. He also intends to take sessions on Data Structures and Algorithms. As a Ph.D. student in the IRAL lab at the CSEE department of UMBC, Nisha focuses her research on human-robot interaction, grounded language acquisition, and novel semantic categories. She mastered server virtualization as a part of the Research and Development team at VMware. Un-choreographed dancing happens to be her sole stress reliever, while she’s not gaping at her favorite guitar with the thought of her stringing alongside Matt Bellamy in her beautiful library she erected to impress her friends. She aspires to be, a pilot (despite her severe vertigo), the next Elon Musk (well, who doesn’t), and a successful supermodel. The UMBC-ACM student chapter has been working under the insightful guidance of Prof. Tim Oates and Prof. Tim Finin, both Professors of Computer Science and Electrical Engineering at the University of Maryland, Baltimore County. Dr. Tim Oates is an Oros Familty Professor of Computer Science at the University of Maryland Baltimore County. He received B.S. degrees in Computer Science and Electrical Engineering from North Carolina State University in 1989, and M.S. and Ph.D. degrees from the University of Massachusetts Amherst in 1997 and 2000, respectively. Prior to coming to UMBC in the Fall of 2001, he spent a year as a postdoc in the Artificial Intelligence Lab at the Massachusetts Institute of Technology. In 2004 Dr. Oates won a prestigious NSF CAREER award. He is an author or co-author of more than 100 peer reviewed papers and is a member of the Association for Computing Machinery and the Association for the Advancement of Artificial Intelligence. His research interests include pattern discovery in time series, grammatical inference, graph mining, statistical natural language processing, robotics, and language acquisition. 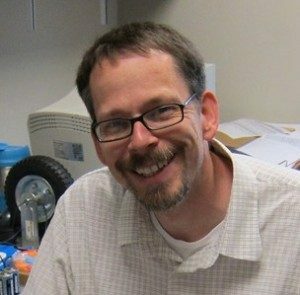 Dr. Tim Finin is a Professor of Computer Science and Electrical Engineering at the University of Maryland, Baltimore County (UMBC). He has over 30 years of experience in applications of Artificial Intelligence to problems in information systems and language understanding. His current research is focused on the Semantic Web, mobile computing, analyzing and extracting information from text and online social media, and on enhancing security and privacy in information systems. He is AAAI Fellow, received an IEEE Technical Achievement award in 2009 and was selected as the UMBC Presidential Research Professor in 2012. Finin received an S.B. degree in Electrical Engineering from MIT and a Ph.D. degree in Computer Science from the University of Illinois at Urbana-Champaign. He has held full-time positions at UMBC, Unisys, the University of Pennsylvania, and the MIT AI Laboratory. He is the author of over 300 refereed publications and has received research grants and contracts from a variety of sources. He participated in the DARPA/NSF Knowledge Sharing Effort and helped lead the development of the KQML agent communication language and was a member of the W3C Web Ontology Working Group that standardized the OWL Semantic Web language. Finin has chaired of the UMBC Computer Science Department, served on the board of directors of the Computing Research Association, been a AAAI councilor, and chaired several major research conferences. He is currently an editor-in-chief of the Elsevier Journal of Web Semantics and a co-editor of the Viewpoints section of the Communications of the ACM.